Nigeria is about to witness a giant leap in its automobile industry. It’s the car revolution we have all been waiting for! 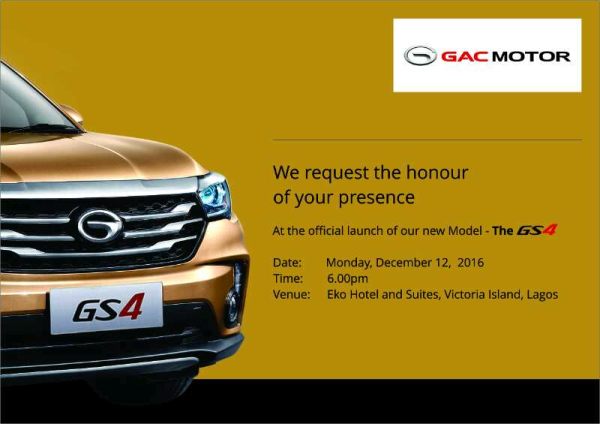 On Monday 12th December 2016, China’s leading automaker GAC motors will be unveiling its premiere GS4 brand at the Eko Hotels and Suites, Victoria Island Lagos. A delegation from China led by the General Manager of GAC Motors will be making their first visit to Nigeria for this high profile event. It will be hosted by the award-winning musician Dare Art Alade who would also be giving a stellar performance at the event. 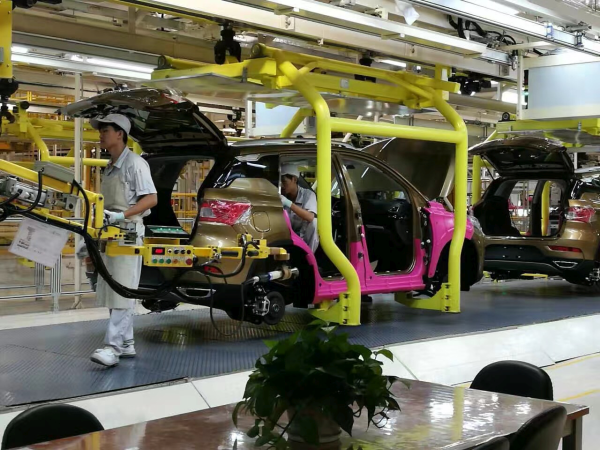 Speaking about the vehicle, Chief Diana Chen, Chairman of CIG Motors and Chief host of the event said "Applying sustainable and eco-friendly technologies in vehicle production and automotive decoration is one of our primary goals. All cars manufactured by GAC Motor follow the highest standards and use only the best quality and environmentally friendly materials." 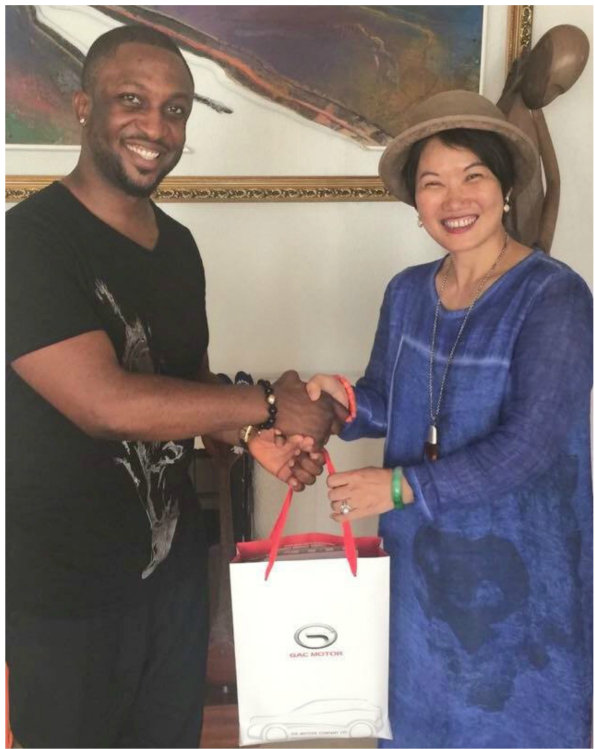 It would also be recalled that Chief Diana Chen is the first Chinese woman to receive a Chieftaincy title here in Nigeria. No doubt this is a choice car for Nigerians and it has been said continuously in the automotive industry in Nigeria that the launch of the GS4 car is set to create a revolution in Nigeria’s automobile Industry. The Unveiling is expected to be an event of pomp and pageantry as select stakeholders of Nigeria’s automobile industry, captains of industry, celebrities, political leaders and heads of corporate organizations have confirmed attendance. 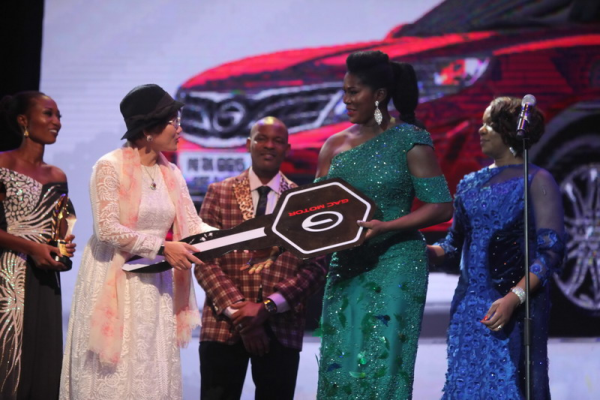 Some of the celebrities who will be gracing this occasion are Stephanie Linus, who received a car from GAC Motors for carting away the Best Overall Movie In Africa Award at the AMVCA Awards 2016 and the award winning Movie Director, Kunle Afolayan.